Well, again, this time of the year moves real slow. I occupy a lot of my time entering data, writing reports and proposals, doing prep for the upcoming field season, and longing for the days when I can get back on the water. But, right now, there isn't too much going on. I submitted a paper for publication back in November and got the reviews back recently. They weren't great but they weren't terrible. I am hoping that with the proper revisions, as recommended by the reviewers, that it will eventually make it into publication. Also, with help from my adviser, I have begun to analyze the data from planting scallops in various habitats, and there is a very interesting story developing, especially when we look at natural recruits. Its very exciting. I am going to present the scallop work at the National Shellfish Association 100th Anniversary Meeting in Providence this coming April. As I start to make the charts and presentation, I will post more information about that project here. Otherwise, things are going well with my research. I have a few projects I will be working on this summer, of course the spat collectors again, my eelgrass mats with scallop growth (and I might do some RNA/DNA work if I decide the results will be worth the hassle) and survival (hopefully it works this time, but I have found some new tether methods I hope will work out better). I am also going to be investigating the impacts of water quality on the growth and survival of the big three bivalves (clams, oysters and scallops). There are plenty of other side projects I hope to conduct and be involved with, but as it stands right now, I will be plenty busy. If you have any ideas, let me know! I am a marine biologist that is currently attending graduate school at the School of Marine and Atmospheric Sciences, Marine Sciences Research Center, of Stony Brook University, New York. I am very interested in marine ecology and have been focusing my studies on bay scallop interactions with their habitats. 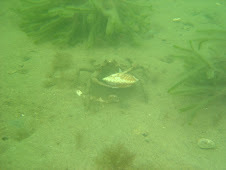 I plan to investigate various anthropogenic impacts on bay scallop populations for my PhD dissertation. 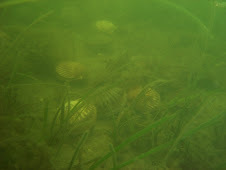 This blog will highlight the details of my graduate research, from bay scallop-eelgrass interactions as previously mentioned, to alternative habitats for scallops, such as Codium, to trophic cascades, and more. Enjoy! Eelgrass, Zostera marina, is a flowering, marine vascular plant that remains submerged all the time. This is quite a feat for vascular flowering plants, and only a few dozen species world wide are capable of growing completely submerged in a marine environment. Eelgrass creates and extremely important habitat, its upright structures and complex root system create a 3-D living space for many different types of animals. It is (or was) the dominant habitat forming SAV (submerged aquatic vegetation) throughout much of the coastal waters in the northeastern United States. Unfortunately, for various reasons, eelgrass meadows have seen drastic declines, and in many locations eelgrass only exists in a mosaic of small patches. This is extremely bad news as many of the important, and formerly important, commercial and recreational fisheries of the northeast US are dependent on Zostera at some part of their life cycle as a nursery and foraging ground. Some of the species are finfish like tautog, bluefish, fluke, winter flounder, porgies, while others are shellfish such as blue mussels, hard clams, oysters, bay scallops, and blue crabs. Many of the aforementioned species support or once supported vibrant fisheries. Many of those fisheries have collapsed, also for various reasons. However, is it possible there is a link between the crash of the fisheries, the decline of Zostera and the failure for recovery on both ends? So long DSN, and thanks for all the fish! What do you do when you see a seal on the shore? If you live in coastal zones, urge your local and state representatives to push for environmental issues that you are concerned about. 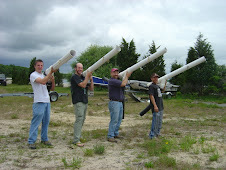 Ask for more stringent rules regarding the destruction of existing eelgrass. Encourage restoration programs to be set-up. Call your state and national representatives and ask them what they are doing to protect our precious resources. Practice safer boating and know the undersea terrain - i.e., don't drive your boat in very shallow water. Avoid clamming in eelgrass meadows.